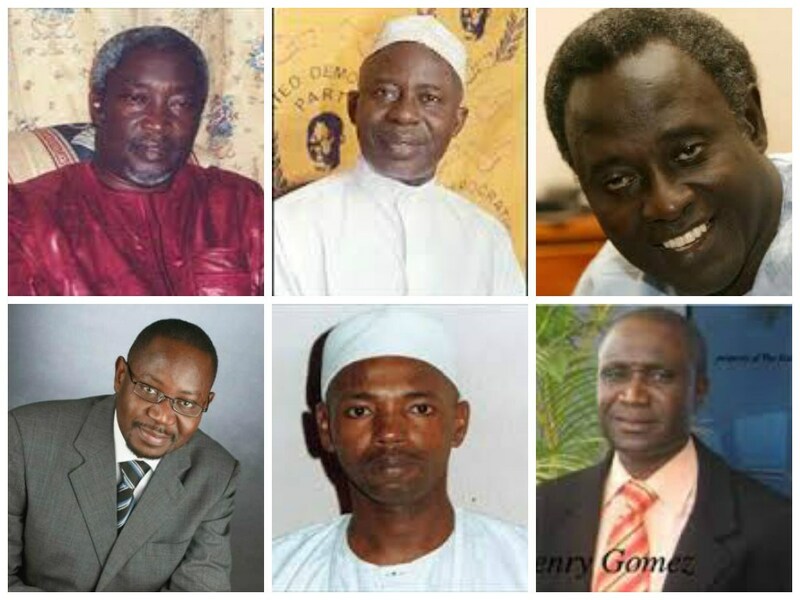 Seven Gambian opposition parties are set to select a single opposition candidate to face Gambian President in the December 1st, 2016 elections. 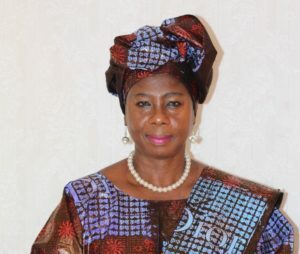 The parties consisting of the United Democratic Party (UDP), National Reconciliation Party (NRP), People’s Democratic Organization for Independence and Socialism (PDOIS), Gambian Moral Congress (GMC), National Convention Party (NCP), Gambia People’s Democratic Party (GPDP), People’s Progressive Party (PPP) and An Independent leaning Candidate will convene at a convention Sunday October 30th, 2016 to select a single candidate to contest the December polls. The agreed selection process referred to as “A convention” was arrived at during several weeks of discussion attended by all parties in an effort to unify the opposition. The discussions were very contentious and several relentless consultations and meetings were held to arrive at an acceptable process. This unity effort was compelled by young Gambians and ordinary citizens who demand that the opposition forge a unity to give them a chance against the incumbent government in power for 22 years which has monopolized all state institutions and security apparatus to maintain their leverage over the opposition. The agreement for voting participation at the convention to select a single candidate was structured in such that every registered party and the Independent candidate either they nominate a presidential contender or not will bring in 10 delegates from all Seven Regions across the country. So each party will bring in 70 total delegates plus the Independent leaning candidate. A total of 560 delegates/electorates across the country will be mandated to vote for a single candidate to lead the pack. The opposition party candidates nominated for President are Halifa Sallah of PDOIS, Adama Barrow of UDP, Hamat Bah of NRP, Dr. Isatou Touray of the Independent and Dr. Bolong Bojang of NCP. These five candidates will be the ones contesting for votes to lead the opposition parties. According to information from GOFER – the Inter-party committee tasked to put together this historic convention, an agreement has been reached for all delegates to freely vote their conscience for any candidate they deem would be the most electable regardless of partisan affiliation. In addition, a frame work has also been established to ensure that there is a second round of voting in an event of a tied or if any one candidate fails to secure the majority of the votes from the first round. It is expected that two candidates who have the most votes in the first round but shy of the 51% majority will go for a second round or run up. It has also been agreed and signed by all political parties that any candidate who comes out as the winner will be supported by all other parties. Any candidate who wins this contest will resign from his/her political party and contest the elections as an Independent non party affiliated candidate! It is to be noted that this convention is the first in the history of the Gambia where all opposition parties but GDC have agreed to submit themselves to a process the outcome of which is to be decided by the people and for the people of the Gambia. This is an unprecedented time for the tiny West African nation as opposition parties in the Gambia have tried numerous times to form a coalition several times during the past elections without success. It is believed that the political situation in the Gambia is very different this time where all executive leaders of the main opposition party – UDP are in jail for protesting against the killing of a member who died from alleged tortures by the country’s NIA after a peaceful protest. For months this created political tension in the country where hundreds of people mostly women hit the streets to protest against the political crack down. The politically motivated trial and sentencing of UDP members and the death of an additional UDP member pushed the opposition to the limit. This mass political crack down brought the opposition closer together and as a result led to the crafting of this convention to select a single candidate. While Gambians are very optimistic of the positive outcome of this convention with a unified candidate, many are worried about the possible last minute fall out. However, given all the painful process, soul searching and level of sacrificed all the parties have gone through, they are likely to go through this historic convention with a positive outcome. Many Gambians believes that the incumbent president Yahya Jammeh has out stayed his mandate and worse has used the presidency and state institutions to elevate political oppression marked by open corruption, judicial interference and gross human rights violations. Mr. Jammeh has unilaterally declared the Gambia an Islamic State an open violation of the country’s constitution which defines The Gambia as a secular state. It is feared that if Jammeh were to win a 5th term in office he will further introduce Shariah law in the country against the wishes of majority Gambians. As Gambians go to bed hopeful on the eve of this convention, the country’s future is seen to depend entirely on Gambia’s opposition leaders. 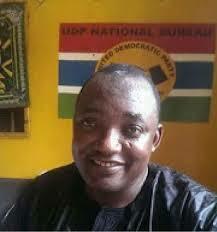 “This is a monumental sacrifice in leadership by Gambia’s bruised opposition” said a long time activist. However, he is hopeful that they will come through this time. Opposition leaders and the Independent candidate are urged to exercise due diligence and to understand the magnitude of the responsibility that has been placed in their hands. How the Gambia move on from here and through the elections peacefully will be squarely defined by the outcome of this convention. In the meantime, the new party GDC which has refused to join the rest of the opposition also has a historic role in deciding the future of the Gambia. Will the leadership of the GDC come to its conscience and join the pack to safe the country from sliding into political chaos or will self partisan interest further push them to contesting this elections alone thus giving the incumbent dictator an advantage over the opposition. History is ever ready and recording everything that happens in every step of the way. It will be unprecedented if the GDC were to put country first over party and throw their support behind any candidate who is selected from this convention. The Gambia – your fate is once again being decided by your citizens and the path they choose will determine your future. This historic convention has largely been sponsored by Gambians in the Diaspora through the Gambia Democracy Fund (GDF) a non partisan independent group which has been involved in the search for restoration of Democracy Human Rights and rule of law in the Gambia through peaceful means.